Hip and knee surgery — a panacea? 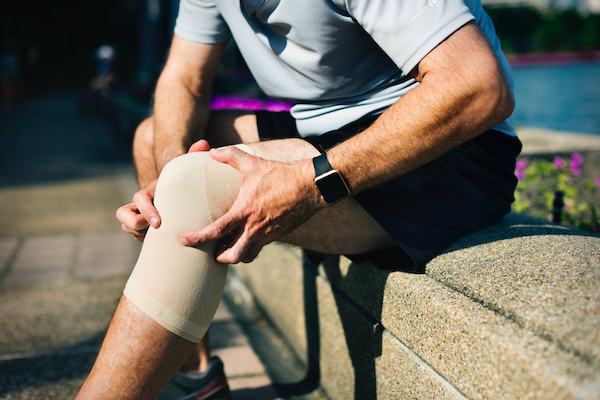 There is no doubt that the definitive, evidence-based treatment for severe knee or hip osteoarthritis is a joint replacement. All other therapies are aimed at either reducing inflammation or pain and as yet we do not have effective treatments to rebuild cartilage and thus giving a person a new joint is the current best approach. But, we need to ask the question, is this a cure all? The answer is a definite no. The reality is that there is a small, but definite failure rate for both hip and knee replacements. Although I am not an orthopaedic surgeon, I see a number of patients who have gone through hip or knee surgery who are left with chronic issues thereafter. Many people, although they are universally informed by the surgeon involved, do not realise that there is a long rehabilitation process which requires effort and time after the procedure. There is also no doubt that weight loss and exercise are two of the most important treatments for osteoarthritis whether you do or do not have surgery. Maintaining muscle and ligament strength around the joint is vital in all patients, regardless of whether they have had an operation. A recent article from the British Journal of Sports Medicine looked at a younger group of people aged between 18–50 who underwent arthroscopic hip surgery between 2004–2013. Medical records were collected for 12 months before and 24 months after surgery. Rather than focus on the result of the surgery on the affected joint, the researchers looked at other health issues that may arise in conjunction with the surgery comparing the presence before and then the occurrence after the surgery had occurred. Very worryingly, there appeared after the procedure to be an 84% increase in mental health disorders, 166% increase in chronic pain, 57% increase in substance abuse, 71% increase in cardiovascular disease, 86% increase in metabolic syndrome (this is the tendency to diabetes, hypertension, cholesterol issues and abdominal obesity), 132% increase in arthritis in other joints and 111% increase in sleep problems. The explanation for all of these issues is suggesting that the long recovery time after this procedure leads to an inability to exercise, a loss of purpose, inability to work — with the combination of all these factors leading to weight gain, poor sleep and the need for pain killers. The psychological effects of all the above are clearly striking. It certainly appears that we need a much better and coordinated approach for people undergoing significant surgery. Whether it be orthopaedic surgery, the increasingly common bariatric surgery, cardiac surgery or any forms of operation, if these procedures are elective it appears to me that prehab is probably just as important as rehab. With prehab, I am of course referring to assessing and managing all potential physical, emotional and mental disorders prior to subjecting people to serious surgeries. All of the potential complications of surgery need to be explained to the patients, along with their close relatives and support prior to, during the hospital stay and after discharge needs to be very comprehensive and extensive. I believe if there is a total rethink in how we approach these issues, we will see less of these very serious complications arising as a consequence of doctors intervening in the variety of chronic, disabling conditions. As I say very often, the commonest cause of death and disability in the world is cardiovascular disease, closely followed by cancer. Unfortunately, it appears that the third commonest cause of death and disability is modern healthcare. Although, in many cases, this is unavoidable as the underlying condition treated would probably have either killed the patient or made their life a complete misery without treatment, surely there is a better approach. Many intrusive surgeries are such a major intervention with so many potential negative consequences. Involving the team care approach well before the surgery will be the answer. Fortunately, this is now happening in many instances, but the information I presented above is very disturbing when you consider the vast & increased complication rates after surgical procedures.